This is made out of a very sturdy polyester fabric that does not stretch. Medium Blue and Gray Blue. There is no royal blue. The fabric has a nice hang to it. It is not clingy. It is 64" around at the armpit level for a loose 59" fit. The shoulder is 246.33" and the Sleeve Length is 38". 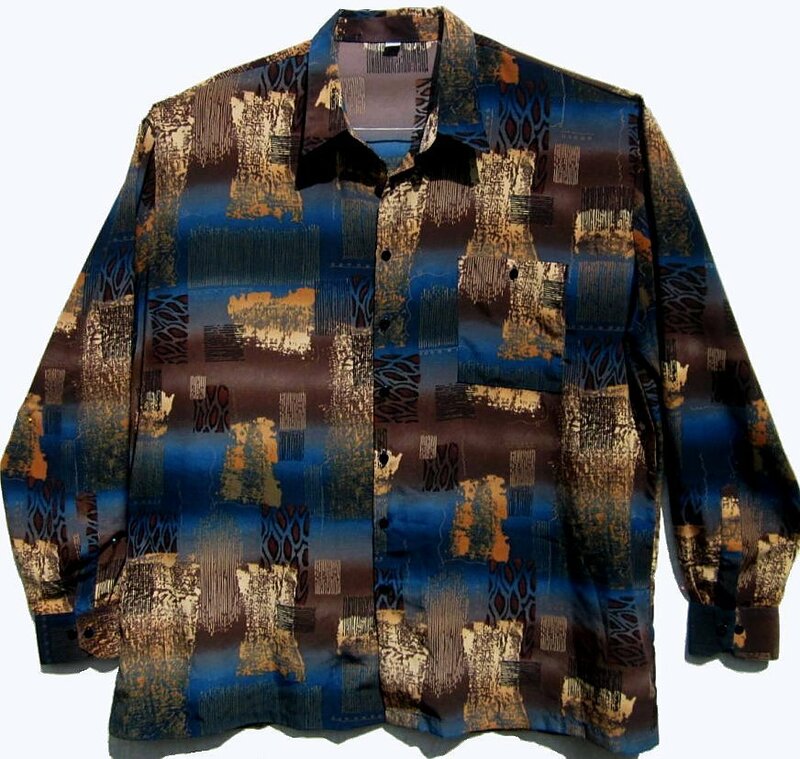 The shirt is machine washable inside out on gentle, hand wash or dry clean. Hang dry. It is sturdy enough for many wears.